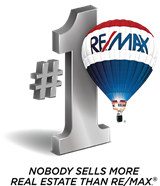 Need an experienced Realtor to help you Buy or Sell a Home? Contact Bill Gero for Professional Real Estate Services. Use this real estate website for all your home buying and selling a home in Chester County PA - Exton, Malvern, West Chester, Downingtown, Chester Springs, Wayne, Berwyn, Paoli, Phoenixville and more. Search all homes for sale.